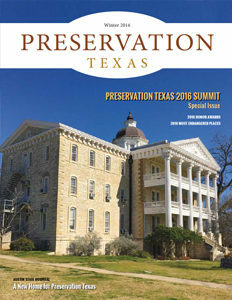 Preservation Texas is a publication delivered three times annually (January, May and September) to all current Preservation Texas members. 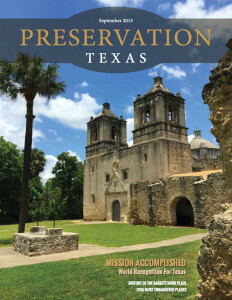 It covers topics of preservation in Texas. 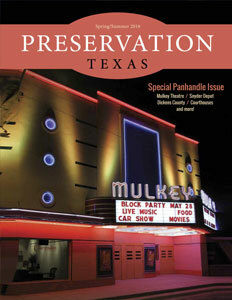 If you would like to advertise in Preservation Texas, click here for an ad sheet. Preservation Texas Reporter is a regular emailed newsletter available to current Preservation Texas members and supporters. It includes links to news stories on topics of preservation in Texas, as well as preservation-related events held by member organizations across the state. Click here to be added to the Preservation Texas Reporter mailing list.